This is day 3 of the Thanksgiving Blog-hop, with 7 of my blogging friends writing Thanksgiving posts, over 7 days. Today’s blog comes from my friend Bev. I have a long history with Bev, including cutting my youth pastor teeth with her son, Jason, when he was in Junior High and I was barely old enough to drive. I loved those days of working with him, taking him out for Road Runner burgers (anyone in Salem remember that place?!?!) and learning how to engage youth while building genuine friendships. I’ll never forget the morning that he passed away, as I was on my morning run and saw the ambulance outside the house he was living at (with some other buddies of his). I stopped in to see what was going on and I learned that Jason had died. I was sick to the core at the loss of such a great young man, but even more, I ached for Bev and her family. Bev’s journey through that loss has been incredible, and I encourage you to read her blog today, and then sign up to follow her in the future. Her grace, artistry and cleverness will keep you coming back for more content! Happy Thanksgiving, and stay tuned as we have four more days of Thanksgiving blogs! (I’m up for tomorrow). 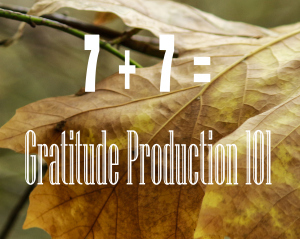 Today is my day (day 3) in this project, I am honored and excited to be part of this Gratitude Project 101. I hope as the week progresses you will stop in and check out the 6 amazing bloggers I have been teamed with. This is the time of year we stop to reflect on what we are thankful for, we post out thankfulness for the 31 days of November. Don’t get me wrong, this is a great practice, but last year my heart was softly challenged, why only once a year? Why do I take only 31 days out of 365 to actively practice gratitude? These thoughts continued to nag at me for several weeks. Why would I not express my thankfulness every day, all year long? I have a blessed, beautiful life. This entry was posted in Uncategorized and tagged blog, blog-hop, gratitude, thanksgiving, thanksgiving blog. Bookmark the permalink. Joe – I don’t think I knew you were there – Were you still there when I arrived? Did you go into the house? Hey Bev, i was there when Jason’s body was loaded on to the ambulance. There was a lot going on and I was trying to not be in the way. I spent a lot of time with Adam and Sean that afternoon — both had been at Bethany at that time. Such a shock that day. I loved my times with Jason (and Aaron Brown). My Revelation study took shape because of those boys. Ah – Yeah I don’t remember too much about that day. I never went into the house. I am finding myself a little more curious about the events of the day. I never asked Sean or Adam anything about it. I did not really want to know – still not sure how much I want to know. Just beginning to be curious.